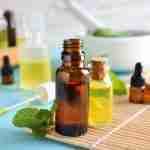 Professional Formulation Services - JennScents, Inc.
Jennifer Pressimone is a gifted, intuitive and master formulator of essential oils and botanicals. We offer a variety of custom blend formulation services from creating a unique, personalized blend to a replicated scent. Let us create a signature scent masterpiece or signature aromatherapy products special to your business that represents your business needs, who you are and feeling you want your customers to have about you. Private labeling available. 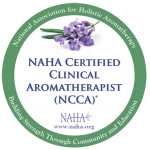 Jennifer is a Professional Consultant, helping businesses integrate aromatherapy into their current business practices, such as an Aromatherapy Blending Bar in a Spa, Aromatherapy Blending Services in a medical or wellness setting (doctor’s office, dentist, gym, yoga studio), or to create a Holistic Wellness Workplace. We specialize in getting to know your business at the core, and creating a signature blends that mimics the feeling, mission and purpose you want your customers to have. After a detailed Custom Blending Formulation Consultation, we will then formulate three sample scents for you to choose one as your signature scent. We walk you through the process, every step of the way to ensure you receive the aromatherapy masterpiece you deserve. Do you have a favorite scent you need replicated using 100% pure essential oils? Don’t have the actual recipe? No worries. Let JennScents replicate this scent for you. Step 1: Contact Us with details about the scent you want replicated. If we are able to formulate using 100% pure essentials we will let you know to proceed to step 2. Keep in mind, we do not use or duplicate any fragrance or synthetic ingredients. Step 2: Email us the ingredient list of the blend you want replicated to determine if we able to reformulate this for you. If you’d like, mail us a plentiful sample (non-returnable) of your scent to smell, along with an ingredient list to be evaluated by one of our highly trained Phyto-aromatherapists. Preferably, we request the sample scent be less than 9 months old. As you can imagine, there are several factors that go into scent replication such as scents used, age of perfume or blend and storage of perfume (exposed to heat/sunlight, etc.). You can mail your sample to the following address. PLEASE make sure you contact us with the date and tracking number (if available) of your shipment so we can be expecting it. Step 3: Once we reply that we are able to replicate a scent for you, purchase our Replication & Formulation Service. We will begin the process from here. Step 4: We will formulate and create two (2) samples for you to choose and approve one of them, or to provide detailed feedback on any adjustments needed. They will be mailed to you within 2-4 weeks of the initial Replication & Formulation Service purchase. Step 5: Once you have chosen your final replicated scent, we will create and mail this final blend to you in a 5 ml concentrated bottle (100% pure essential oils with no carrier). You are able to request additional products made with this scent for an additional fee. Step 6: When you run low on your replicated scent, you can reorder here. Thank you for considering us to replicate you special scent. Let us know if you have any questions. You can Contact JennScents today for more information. We look forward to fulfilling your professional custom blending service needs.